Anode used X-ray tube is made of molybdenum (MO) and ordinary X-ray tube anode is made of tungsten. 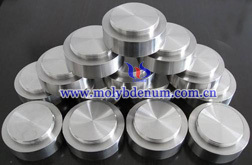 Molybdenum has low atomic coefficient and after electron bombardment can emit lower X-ray energy and the wave length of characteristic spectral line is longer, which is suitable for soft tissue transillumination imaging. The atomic number of tungsten is higher and electron-penetrating power is strong, which is suitable for bone radiographic imaging. 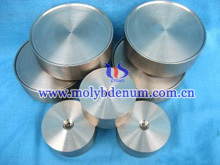 Therefore molybdenum target mammography is suitable for breast examination, X-ray mammography is recognized worldwide effective method for early detection of breast cancer. Especially in digital mammography, we can clearly show the breast at all levels of the fine structure, particularly fine calcification.